According to historians, tales of mermaids and mermen can be traced back to the Babylonian sea deities Oannes and Atargatis in 1000 BCE. Since then, mermaid folklore has appeared in every era and every culture, from ancient Greece to Victorian England. But mermaid lore was not limited to the realm of folklore and mythology. During the nineteenth century, mermaids appeared with some regularity in art, literature, and music. They also featured in the nineteenth century news, with both sailors and coastal residents reporting real life sightings of mermaids well into the Victorian era. Miss Mackay goes on to describe the mermaid as having a slender white throat and long slender arms, with hands and fingers that were not webbed. She claims that she and her cousin, along with the three other bystanders, viewed the mermaid for over an hour from a distance of only a few yards. The letter is signed by both Miss Mackay and her cousin, Miss Mackenzie. The Mermaid Polka, sheet music, Lith. of Napoleon Sarony, 1850. After a few minutes spent combing its hair, the mermaid caught sight of Munro. It then plunged back into the sea and disappeared. Munro claims that, if not for the treacherous location of the rock on which it had been perched, he might have thought it was a real woman. However, he also notes that many locals before him had claimed to have seen a mermaid in the waters at Sandside Bay. He had never believed their stories until seeing the mermaid for himself. The early nineteenth century mermaid sightings near Thurso generated a great deal of public interest. Decades later, the accounts of Miss Mackay and Mr. Munro were still being cited as evidence that mermaids—or some variety of sea creature resembling a mermaid—really did exist. For those who required physical proof, the proprietors of freak shows and carnivals were only too happy to oblige. They exhibited various skeletons and mummified creatures throughout the nineteenth century, assuring the public that they were, in fact, the remains of actual mermaids. Japanese mermaids helped to line the pockets of showmen like P. T. Barnum. 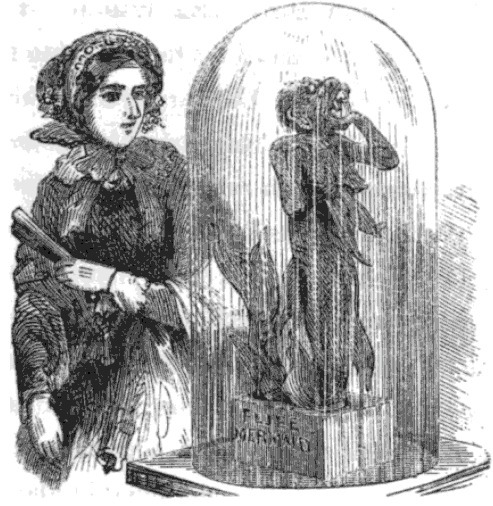 His own “Feejee Mermaid”, which he claimed had been caught in a sailor’s net in the South Pacific, was exhibited in New York in 1843. The public arrived expecting to see the beautiful half-fish half-woman that Barnum had advertised in the papers. Instead, they were treated to the grim sight of a dead monkey sewn to a fish. Feejee Mermaid, Sights in Boston and Suburbs by R. L. Midgley, 1857. Hoaxes of this sort—while certainly disappointing—did little to dim the nineteenth century public’s fascination with mermaids. 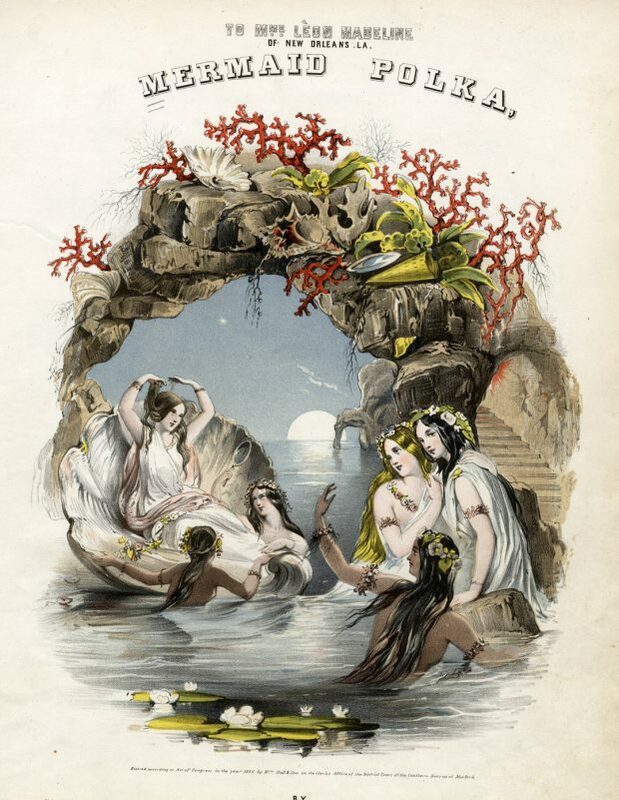 In her book Strange and Secret Peoples: Fairies and Victorian Consciousness, Carole Silver states that, after the 1837 publication of The Little Mermaid by Hans Christian Anderson, the idea of mermaid brides was particularly in vogue. 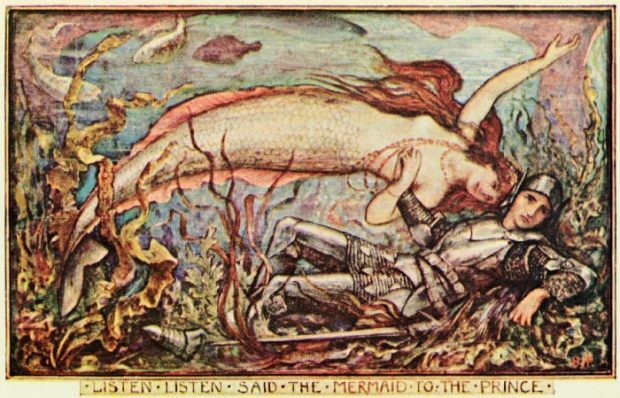 The comic song “Married to a Mermaid” was published in 1863 and “The Mermaid of Zennor” —a Cornish folk tale in which a mermaid seduces a young man in the church choir — was first recorded in 1873. Mermaids also featured in the work of Victorian era writers like H. G. Welles and Henrik Ibsen, and in the paintings of prominent artists like Edward Burne-Jones and John William Waterhouse. As for mermaids themselves, despite the persuasive first-hand accounts from the early nineteenth century, the progress of zoological science in the Victorian era slowly eroded any belief in their existence. By the end of the century, they were firmly relegated to the realms of myth and legend. 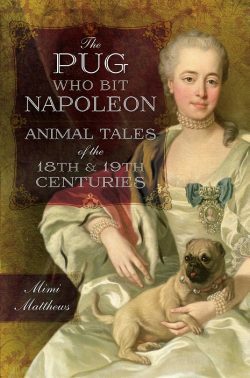 **Author’s Note: This article was originally published in April 2017 at the Folklore Thursday website. Andrews, Tamra. Dictionary of Nature Myths: Legends of the Earth, Sea, and Sky. Oxford: Oxford University Press, 1998. Belfast Mercury (Antrim, Northern Ireland), 16 June 1857. Cheltenham Chronicle (Gloucestershire, England), 17 January 1860. Dundee Courier (Angus, Scotland), 03 May 1892. Fife Herald (Fife, Scotland), 01 September 1870. Kentish Gazette (Kent, England), 08 September 1809. Lee, Henry. Sea Fables Explained. London: William Clowes and Sons, 1883. Silver, Carole. Strange and Secret Peoples: Fairies and Victorian Consciousness. Oxford: Oxford University Press, 1999. Sussex Advertiser (East Sussex, England), 03 June 1865. Varner, Gary. Gargoyles, Grotesques & Green Men: Ancient Symbolism in European and American Architecture. Raleigh: Lulu Press, 2008. Western Daily Press (Bristol, England), 12 July 1858.